Have you ever thought about how World War II could end if you had a chance to change something? Play the game and acquire Nazis plans. 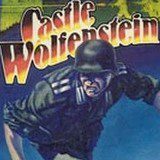 Are you ready to enter the Castle Wolfenstein? Proceed inside and kill Nazis on you way, but remember, you have come here to acquire their evil plans. Make sure you clear the path before you enter, or it will be a dead end!